Perry and Lynn Thomas stepped outside of their Lynn Thomas Team office at Keller Williams to the sight of a beautiful double rainbow. It instantly made them think of the famous double rainbow video on youtube. Even though they did not sing the song, Perry definitely quotes it. 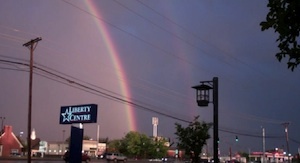 The double rainbow is seen from Hurstbourne Pkwy in Louisville KY. The rainbow looks like it's touching down in Middletown and stretching on over to the Polo Fields. The double rainbow is a welcomed sight to all the flooding that's been going on. Perry remembers what God said to Noah. God promised Noah he would never again flood the earth. The rainbow is the sign of that covenant. What a treat. Lynn Thomas stands on the corner of Witherspoon and Shelby Streets. Two blocks away from the normal rivers edge, the Ohio River in Louisville Kentucky is overflowing it's banks. The streets have been closed due to flooding. 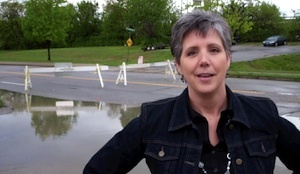 Standing on the banks of the overflowed Ohio River, Lynn Thomas discusses the flooding in Louisville, Ky. She points out the key points of interest from her current perspective and remembers how she used to ride bikes down the streets that now look like rivers. The city put up these little orange barricades to keep out the traffic. 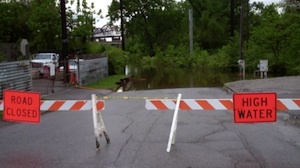 The photograph to the right is the scene of the Ohio River overflowing as seen from Cambell Street downtown Louisville Ky. Those bright little orange signs are not, however, keeping the fearless Lynn Thomas away from her flood watching duties. She is seeing the Louisville River flood from every angle and determining how high the waters are rising to let everyone know what it looks like out there. Remember. Stay safe America. It seems like it's rained forever. There is no sign of letting up. Lynn Thomas ponders the idea of folks living on the flood plain and what their backyard would look like during an event like this. 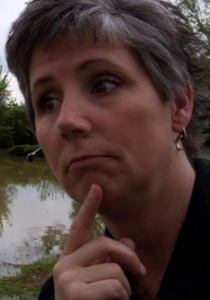 Lynn Thomas is standing next to high waters April 25th 2011 in Louisville Kentucky. She is standing in the El Nopal parking lot on Zorn Avenue next to i71 in Louisville Ky. A phone booth and the Shell station are under water. The road is barracaded to keep car traffic away. Thinking of how quickly river water can rise and the impact it has. Even with all this, she still wears a smile. 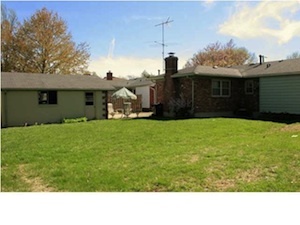 The purchase of this home provides instant equity to the prospective buyer. 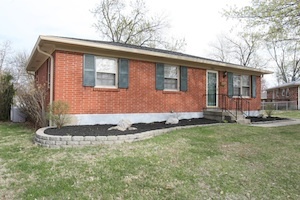 9312 Walhampton Dr Louisville, Ky 40242mls#1300479 is a 4 Bedroom, 1.5 Bath home with a PARTIALLY FINISHED BASEMENT and 2.5 CAR GARAGE. This Home for SALE is p erfect for someone who wants to live in an awesome area of Louisville Ky. Area 9 is the perfect area to own this great home with LOTS of square footage. 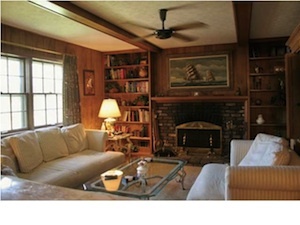 Some great features of THIS HOME include replacement windows and a sunroom which overlooks a beautifully flat backyard. This house also has a 2.5 CAR GARAGE (with a new garage door), and 3 areas for entertaining: a living room, a family room and a finished game room in the basement. This owner is only the 2nd Owner of THIS HOME, and the home is well care for. There is hardwood flooring under the carpet in the Living room, Dining Room, Upstairs Hallway and all 3 Bedrooms upstairs!! For more information about 9312 Walhampton Dr Louisville, Ky 40242, or other Louisville Real Estate, contact the Lynn Thomas Team. 4009 Wimpole Rd Louisville Ky 40218 is a beautiful home in a very desirable neighborhood in Louisville Ky. 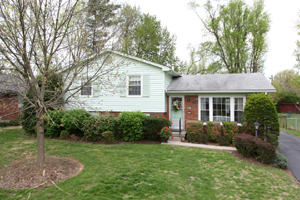 The low maintenance landscaping, recent updates and new roof make this home a dream. One story living abounds with generous space in the living room. The home has more than 2300 square feet of living area and includes a living room, a formal dining room and a giant eat in kitchen overlooking the family room with a fireplace. 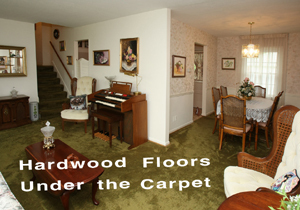 Hardwood floors are under the carpeted areas. Exposed hardwood are exposed in the bedrooms. 4009 Wimpole Rd Louisville Ky 40218 also has 2 full baths, a partially finished basement with a cedar lined closet for off season clothing storage. 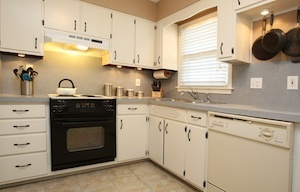 A 2.5 car garage and a large yard and all this space makes home extremely competitively priced. 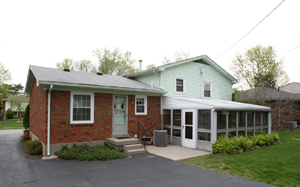 For more details of 4009 Wimpole Rd Louisville Ky 40218, or other homes in area 7, contact the Lynn Thomas Team. Sold for 100% of the Listing Price! 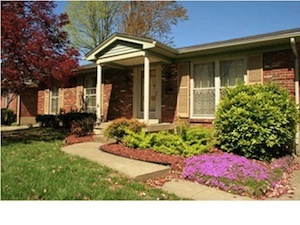 3305 Calais Dr Louisville Ky 40299 is an amazingly well kept home in the neighborhood of Charlene Gardens. The Home has beautiful hardwood floors throughout. A large kitchen, an office in the basement and a huge backyard. .Many updates adorn the home including updated electrical, new carpet and paint, hard wired fire system, security system, and updated baths. New lighting has been added. Some new lighting is recessed. The electrical has been updated from 100 amp service to 200 amp service. 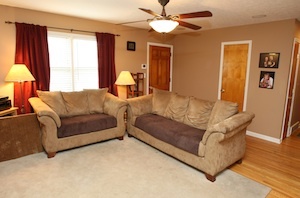 There is a newly finished basement with a full out theater room with included custom woodwork. A new roof was put on 2007. The type of shingles that were put on were the dimensional shingle normally seen on much more expensive homes. New gutters were installed in 2008. A new HVAC went in 2007. The new HVAC is a high efficiency unit. A new deck with rope lighting was installed. The Driveway was widened to accommodate 2 cars. The Landscaping is new and contains a a lot of Perennials. For more information about 3305 Calais Dr Louisville Ky 40299 or additional Homes in Charlene Gardens, visit Louisville Real Estate.